Kathmandu is the capital of Nepal which stands at an elevation of 1400m above sea level. It is one of the cities with largest population. The Kathmandu Valley combines three major districts of Nepal i.e. 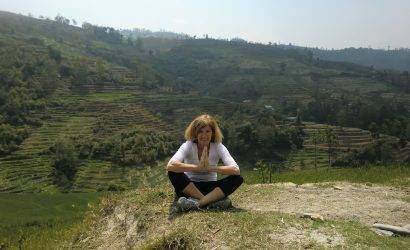 Kathmandu, Bhaktapur and Lalitpur. Kathmandu is inhabited with people of different caste, cultures and tribes. You can find people of each and every district of Nepal in Kathmandu. The city is also a major fashion hub for people of Nepal. People living in the major cities of Kathmandu are highly influenced by western cultures which can be easily noticed while roaming around the cities.The Kathmandu city is rich in cultural heritages, history, art and monuments. It is said that before several years the city was known as city of temples because it had more temples than houses.The Kathmandu valley is a home to numbers of UNESCO world heritage sites like Pashupatinath Temple, Swayambhunath Stupa, Changunarayan Temple and many more. Kathmandu is also listed in top 10 cities of the world to visit by trip adviser. The Kathmandu Valley has the most favorable climate and can be visited during every time of the year. There are many places around Kathmandu valley which is the most popular tourist attractions for tour, hiking and adventures. Kathmandu is also a gateway of Tourism in Nepal. The only international airport of the country lies here. One can enjoy the different varieties of food and fashion in Kathmandu. The night life here is also popular among the tourists. Travelling in Kathmandu can be your best traveling experience with complete package of everything you wish for. Day hiking refers to several hours walk to a destination that can be completed normally within a day. You can also extend it for several days depending on the destinations. Day hiking normally goes on the easier trials of the country side roads. Day hiking is normally done at an altitude that ranges from 2000m to 4000m. It is suitable for every individual and group of people like family trips, group of friends, educational hike and others. Furthermore, day hiking doesn’t require any earlier preparations. You can easily do it with comfortable hiking shoes and clothes. In addition,it is a great idea to take a short break from busy schedule.It gives short glimpses of the countryside lifestyles and cultures. Similarly, hiking is a great way to explore nature in short span of time. 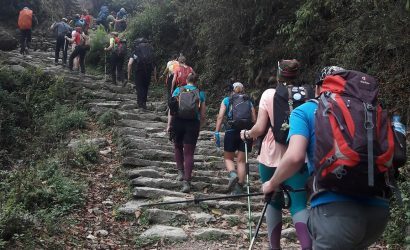 Day hiking is a popular activity in Nepal. It is popular among the tourist travelling with families and short time travelers. 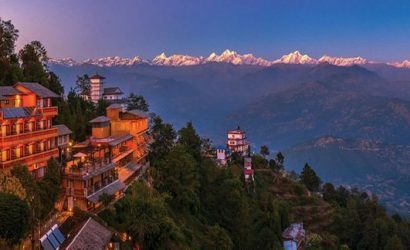 There are so many destinations in Nepal within and outside of Kathmandu valley perfect for day hikes. Hiking benefits to your mental and physical health as well. Also for beginner trekkers hiking can be a great warm up.